This year, kick off your month of Christmas celebrations in the West End’s newest capital of shopping, culture and cuisine: Victoria. Victoria will be hosting a can’t-miss carol concert on Wednesday 2 December in Westminster Cathedral – and with tickets to festive singalongs always in high-demand, this new event is giving more Londoners than ever the chance to belt out their favourites in the beautiful setting of one of London’s most iconic buildings. The talented singers of Westminster Cathedral Choir will lead rousing renditions of all the Christmas classics, while a newly-formed amateur choir made up of people who live and work in Victoria will make its debut on the night. Several special guests will also give readings, meaning you’ll leave with more than enough Christmas cheer to see you through December. Ticket holders can enjoy a traditional glass of sherry courtesy of Ibérica at a reception on the roof garden at nearby Cardinal Place, where they can also catch up on their Christmas gifting at shops like Marks & Spencer, Space.NK, Zara, Topshop, L’Occitane and Accessorize. Or grab a bite to eat from one of the many restaurants including newcomers Ibérica, Jamie’s Italian & M Restaurant. In addition, Shepherd’s Markets will be hosting a special night market across both the Cathedral Piazza and Cardinal Place. 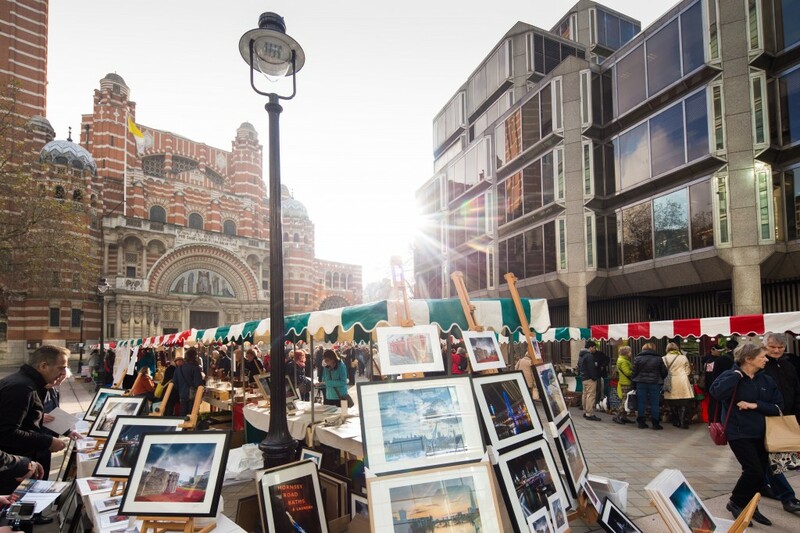 Selling artisan crafts, food gifts and grab & go food, the market will feature stall holders from the Royal Warrant Holders Association and scholars from the Queen Elizabeth Scholarship Trust (QEST), the Association’s charity which supports craftspeople. The market will be open for one evening only to anyone passing through Victoria. The entire £10 concert ticket price will be donated to local homelessness charity, The Passage and Cardinal Hume Centre, by event organisers Land Securities, the people behind the transformation of Victoria into a vibrant destination to live, shop, work and socialise in.